After the cycling challenge of the last week, we of course want to see with our own eyes where the funds we have raised end up and which results were yielded thanks to this. So today we paid a visit to the Horizons Clinic, one of the three humanitarian projects that benefit from the Bike For Africa funds. 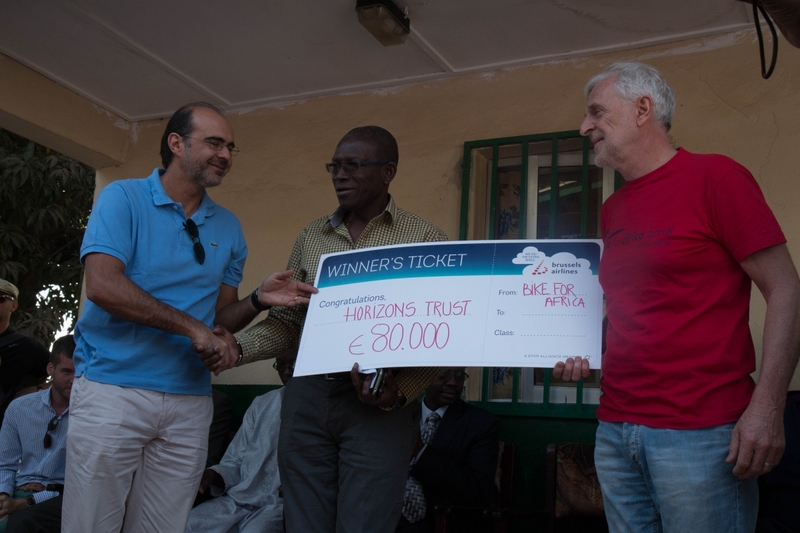 80,000 EUR of the total 150,000 EUR sum has been donated to the Horizons Trust and with that money, they have installed solar panels for their maternity clinic. They also invest the money in training of medical staff to do infection control. 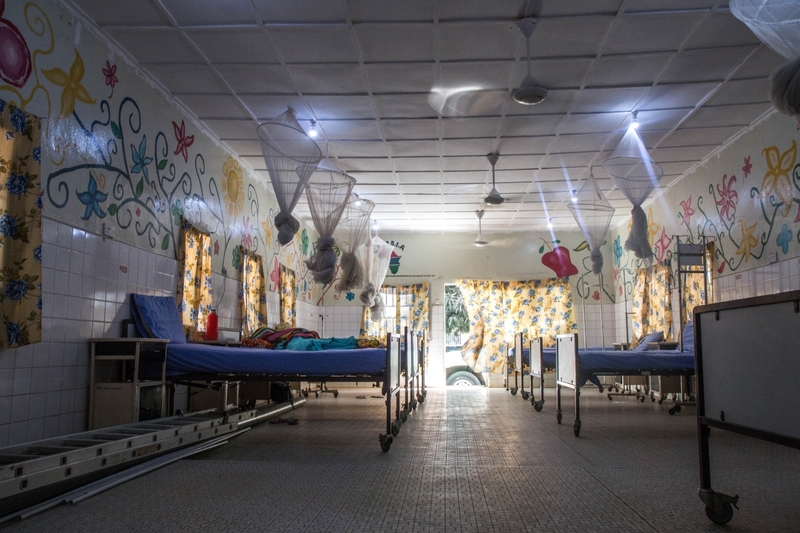 This way they can lower the child and maternal mortality rates, which are currently still very high in The Gambia. The trustees of the Horizon Trust welcome us and thanked us for our contributions, which are of vital importance for the continuation of their good work. As African tradition has it, a lot of thank you speeches are held by many different people before we visit the facilities. 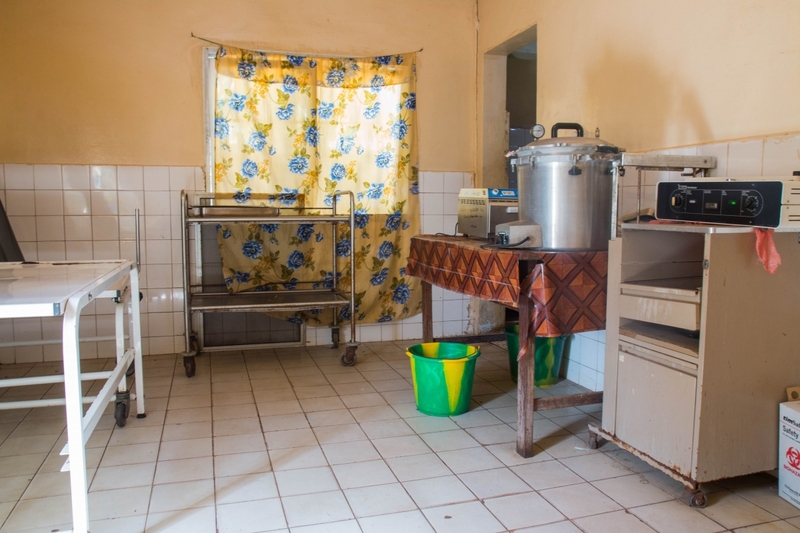 It is very tough for us westerners to see how basic the provisions are over here, but to African standards, this is a great step forward to give mothers the opportunity to give birth in a sterile environment. The nurses show us around in the labour rooms, where one woman is giving birth. We don't want to disturb so we visit another room, where the mothers rest with their babies right after birth. When we get back to the main room, a little bundle of joy is laying on the table, wrapped in cloth. A ten-minute old baby. The baby is taken to its mother, but she just looks at her baby, doesn't hold it. We immediately get emotional, but the nurse explains us that life is much more practical over here. 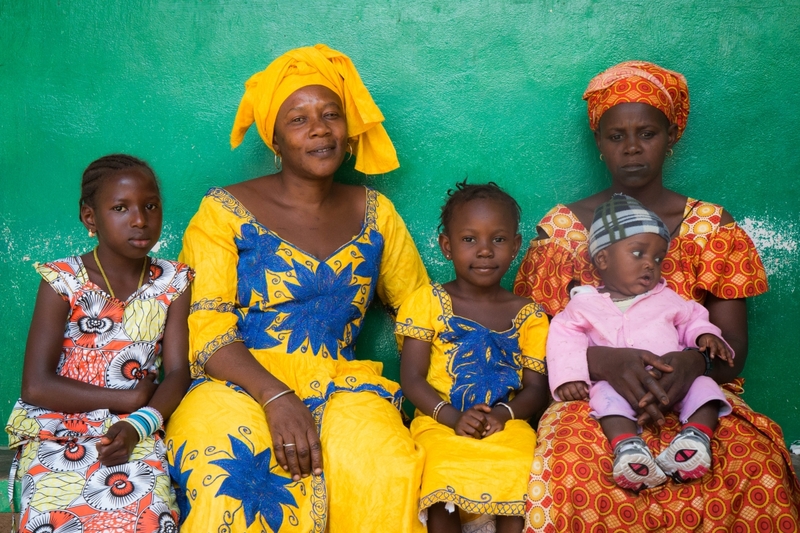 She also explains that women in The Gambia have free access to birth control, so they can do family planning. Although, some husbands don't allow their wives to take it, as their beliefs don't permit it. We walk to the other side of the premises, where the mothers return with their children for follow-up of their progress and to get their vaccination shots. It is moving to see how they are interested in what Bike For Africa is and what we have done to help the clinic. It will be interesting to see where the clinic stands in a few years thanks to these improvements. We will for sure come back to follow up on that.